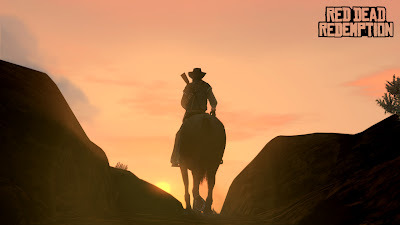 I've been slowly playing through Red Dead Redemption lately and having a great time. It's essentially Grand Theft Auto in the wild west. The funny thing is I haven't enjoyed GTA since Vice City was released in 2002. Each new iteration is basically the same as the last. They haven't been breaking new ground at all. Red Dead Redemption doesn't offer all that much more, but it's setting is in the wild west instead of a modern day city and that's making all the difference. It's strange that the gameplay can be so similar but a change of setting completely shifts my perspective on the game. I've been on a huge StarCraft 2 kick lately, but in all honesty how different is it from WarCraft 3? I know there are some differences, but they're both Blizzard RTS games that play in the same fashion. Apparently setting makes a lot of difference because while I always liked the WarCraft series I absolutely love the StarCraft series. 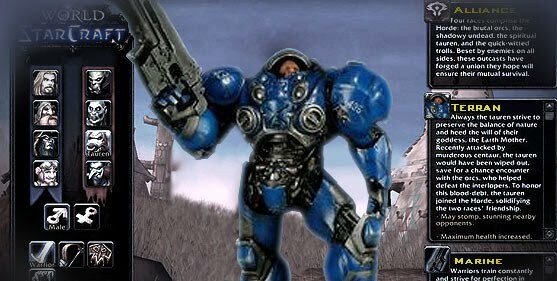 It really makes me wonder how successful Blizzard would be if they cloned the gameplay from World of WarCraft and put it into the StarCraft universe. I'm willing to bet that World of StarCraft would be a resounding success, but I still hope that it doesn't see the light of day as a copy/paste of WoW. I love seeing videogames innovate instead of constantly being derivative of the games that have come before. Despite how much I think gameplay is more important than graphics I still find that the setting of a game matters. The industry can only do the same few settings for so long before people grow tired of them. It's time to break away from the norm and embrace buildings worlds and universes from scratch. As gamers we want amazing places unlike anything we've seen before, we're just waiting for developers to step up and deliver.